S ewage water damage is probably the worst of possible water damages. The water is contaminated, causing damage to your home and your health. Sewage cleanup is a tedious process that needs to be executed by skilled and trained people to allow a restoration that will deem the property suitable for human living. 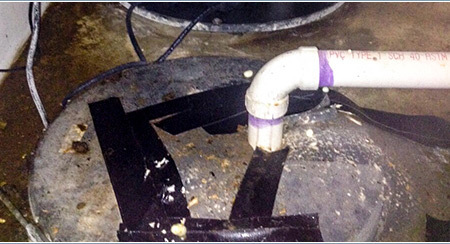 Sewage overflow can be a terrifying situation to home owners. When septic tanks burst or overflow, most toilets are at risk of overflowing too. Sewage water is a threat to your health status as it contains biological agents such as bacteria, viruses, fungi and parasites which may cause serious illnesses such as Hepatitis A, Tetanus, Diphteria, Bacterial infection and Gastrointestinal diseases among others. Such diseases may lead to death in acute conditions. It is good to take caution on not using the toilets when sewage overflows to prevent the risks of adding on the risks of sewage contamination to your home. Once faced by a water damage situation caused by sewage overflow, it is important to take caution not to touch or get close to the contaminated area, close all water running points and electricity, and call ASAP for sewage cleanup services and water damage restoration. A professional Water Damage Restoration Company will ensure proper cleanup services using a variety of sanitizers and disinfectants and also fix problems such as plumbing, structural drying or restoration of the affected area. Call Flood Damage Pro today for your household sewage cleanup services and emergency water damage restoration. Your problems will be fixed in no time. We provide certified professionals in this field with years of experience and excellent work experience. We serve our clients to the best of our ability to the satisfaction of their needs with effectiveness. Flood Damage Pro is here to ensure that your needs are catered for effectively. We provide a series of sewage cleanup procedures to restore your home and your well-being. Inspecting the area of the sewage contamination to know the exact areas contaminated and how to go about cleaning these areas. Wearing protective clothing such as rubber boots, rubber gloves that are waterproof and impervious overalls to ensure that the sewage water does not come into contact with skin. Extracting the sewage water from the affected areas, and starting the drying process where possible. Salvaging items that can be salvaged from the contaminated area and dispose those that cannot be salvaged such as mattresses, wall coverings and carpeting. By moving these items, the area of contamination will be empty and easier to clean up. Cleaning the hard surfaces of the building, including floors, walls and other hard surface household items that can be salvaged and disinfected. The cleaning will be followed by sanitizing and disinfecting the property to prevent mold and bacteria growth. Drying the affected area thoroughly using portable fans, evaporators and dehumidifiers. This will help prevent growth of mold, and air out the horrible smell. It is important to use a professional company who maintains their equipment, to make sure the equipment is sanitized and efficient. Clothing that have been contaminated can be cleaned, but it is not recommended in some cases. The clothes should be adequately cleaned using very hot water or professionally dry cleaned. Food that has come into contact with the contaminated sewage water should not be consumed at all. Our emergency water damage company has professionals who will clean and fix your home within a few hours and your home will be up with a stunning new look, and safe again to live in. With Flood Damage Pro, you have an ultimate solution for your damaged property 24/7, 365 days a year. Call us now at 866-869-4167 and we will be at your door step in no time. Call us now, and get your life back on track!